If you live in Texas, as does the Big Red Car, you have an affinity for Mexico. You love Mexico, Mexicans, breakfast tacos, and fajitas. Margaritas get some love also. Texas used to be part of Mexico until that unpleasantness at the Alamo. It was once fun to go to Mexico until the drug cartels ruined everything. Now, you can only go to an all included resort and never leave the property. Mexico? Why, Big Red Car? Because Mexico is the murder capital of the freakin’ world, dear reader. 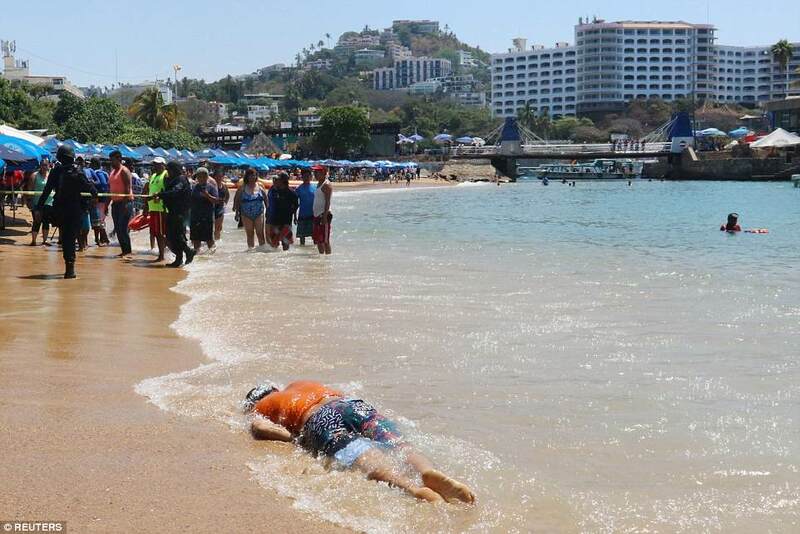 This is a cartel hit dead body which washed up on the beach in Acapulco. Does this make you want to visit Mexico? Do you love the gawkers? I read that last year there were 25,000 murders in Guerrero state (home state of Acapulco). That number is so large as to be beyond belief. I am honestly skeptical that it could be correct. It appears to be right, but how can that be? As a frame of reference, there were 17,250 murders in the US in 2017. There is a war going on in Mexico. Know this. Act accordingly. Be safe. Vacation in Cleveland. Read this article about murder in Mexico. But, hey, what the Hell do I really know anyway? I’m just a Big Red Car. Stay home and eat fajitas at Matt’s El Rancho.